Isis Brantley Meet & Greet featuring Shableek | New Growth Hair Magazine | We capture the culture of urban barbershops and beauty salons. 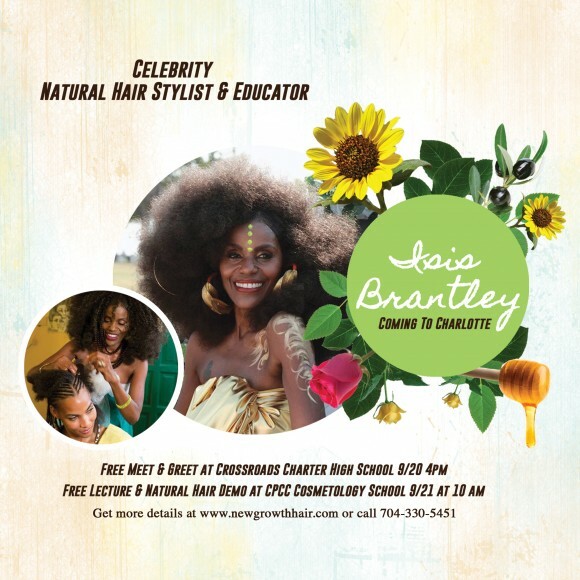 Isis Brantely is a Master natural hair stylist, educator, and entrepreneur. Isis became a revolutionary and iconic figure as a result of her 1997 arrest by the State of Texas for braiding hair without a license (even though the state had no such laws on record at the time). Isis took her fight for Braiding Freedom all the way to the Texas Supreme Court and was victorious. In 2011, Isis started the USA’s first natural hair parade and festival which took place in Dallas, TX with her long-time client Erykah Badu as the Grand Marshal. Through The Institute of Ancestral Braiding and The Isis Project, Brantley promotes community and economic development with charitable fund raisers, special events, and educational training. On September 20th, Isis Brantley visits Charlotte for her first time. Attend this event to Meet Isis and ask her questions. 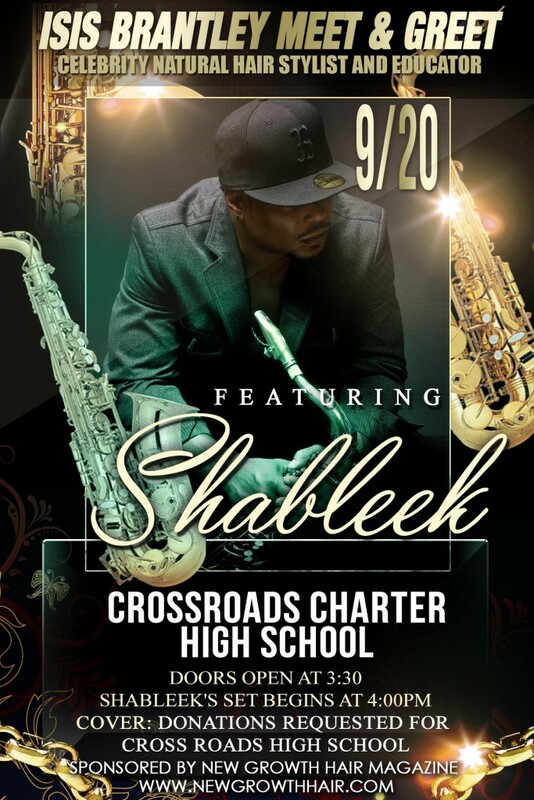 Shableek will welcome Isis Brantley to his hometown with several musical selections. Note: This is a free event but we will be accepting Donations for the Uhuru Sasa Restoration Academy.